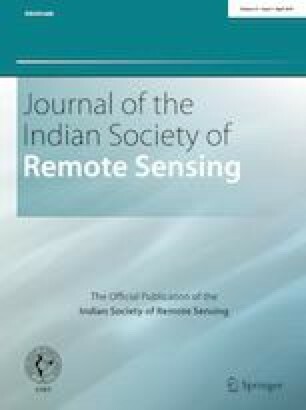 The present study has analysed grassland phenology: start of greening (SOG), end of greening (EOG) and length of greening (LOG), and their rate of change in the western Himalaya in India (Himachal Pradesh) using MODIS NDVI time series data (2001–2015). These metrics were inspected at different stratification levels: state, elevation, climatic zones and bio-geographic provinces. Delayed SOG was observed over 44.87% (P < 0.1), and delayed EOG over 63.3% (P < 0.1) of grassland grids. LOG was shortened in 24.37% (P < 0.1) and extended in 58.04% (P < 0.1) of the grids. At the state level, when statistically significant pixels (SSP) and all the pixels (AP) are used (given as SSP:AP), SOG is delayed by 20.27:6.28 days year−15, while EOG is delayed by 38.02:14.97 days year−15 and LOG is extended by 35.07:8.70 year−15 days. Extended LOG is observed over the temperate and cold arid regions, and shortened LOG is observed over sub-alpine and alpine regions. Variations in SOG and EOG are not uniform across different climatic and bio-geographic regions. However, in the sub-alpine and alpine zones, SOG and EOG followed elevation gradients, i.e. late SOG with early EOG over higher elevations, and early SOG with late EOG over lower elevations. Our study has revealed an interesting pattern of translational phenology (i.e. late SOG and late EOG) of grasslands which hints towards shifting winter period. Overall, it is observed that variations in timing of snowfall and snow cover extent are the reasons for inter-annual variations in the grassland phenology. The online version of this article ( https://doi.org/10.1007/s12524-019-00976-w) contains supplementary material, which is available to authorized users. IANS. (2013). Shimla snowfall at eight-year record. http://www.indiatvnews.com/news/india/shimla-snowfall-at-eight-year-record-19752.html. Accessed 28 July 2017. Planning Commission. (2011). Report of the sub group III on fodder and pasture management. https://www.google.com/url?sa=t&rct=j&q=&esrc=s&source=web&cd=1&cad=rja&uact=8&ved=2ahUKEwjE4tGN1pzhAhVBUlAKHfi7BlgQFjAAegQIAxAC&url=http%3A%2F%2Fplanningcommission.gov.in%2Faboutus%2Fcommittee%2Fwrkgrp12%2Fenf%2Fwg_subfooder.pdf&usg=AOvVaw0crw7hxsP_Tzr0zwdRJPp-. Thomson Reuters Foundation. (2017). World’s ‘highest’ village in Spiti Valley runs dry as global warming hits the Himalayas. http://www.hindustantimes.com/india-news/world-s-highest-village-runs-dry-as-warming-hits-the-himalayas/story-QSAB2bLTwWSFobNrm56uxM.html. Accessed 15 December 2018.